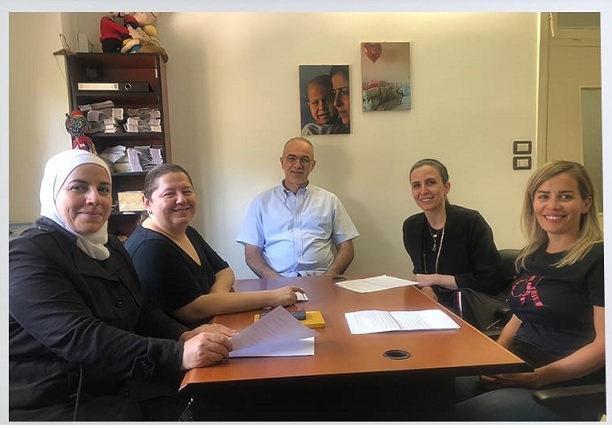 BASMA seeks to improve health and social conditions of children with cancer in Syria, throughout providing psychological proper support to children and their families during the treatment period, as well as the financial support to treatment cost. Any contribution will make a big difference and add a value to a child's life, thier smile will not be as any smile, but it will be a life smile because it brought with it the meaning of life. 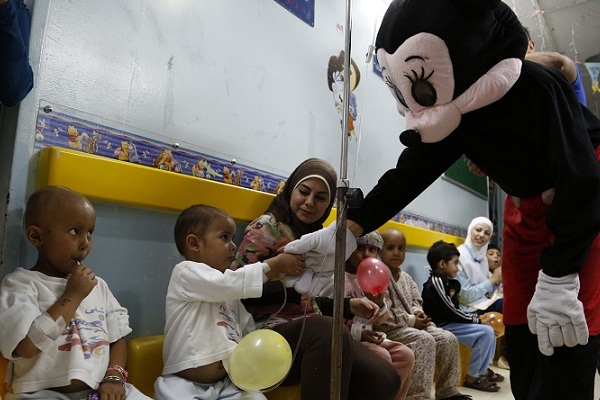 BASMA seeks to improve the health and social conditions of children with cancer in Syria,through financial support to treatment cost as well as providing psychological and moral support to children and parents during the treatment period. 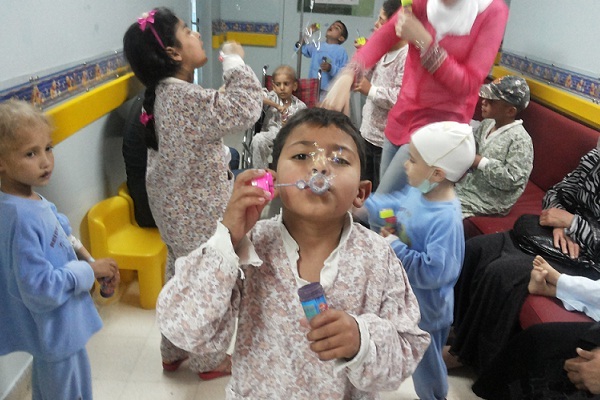 BASMA provides medical support to children with cancer units in order to upgrade the medical services rendered to children, promote setting up new units, and increase community awareness on pediatric cancer. BASMA in association with Rusty 03, organized a very successful marathon for supproting children with cancer. Thousands participated and all enjoyed the great experince. 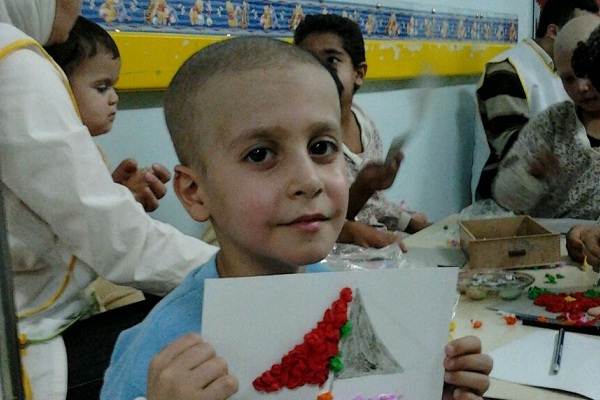 BASMA directly provides children with cancer with necessary medicines which not available in the public cancer centers. Also to Encourage families to come to Damascus and continue their children treatment, BASMA provides accommodation for families coming for treatment, as well food as provisions. 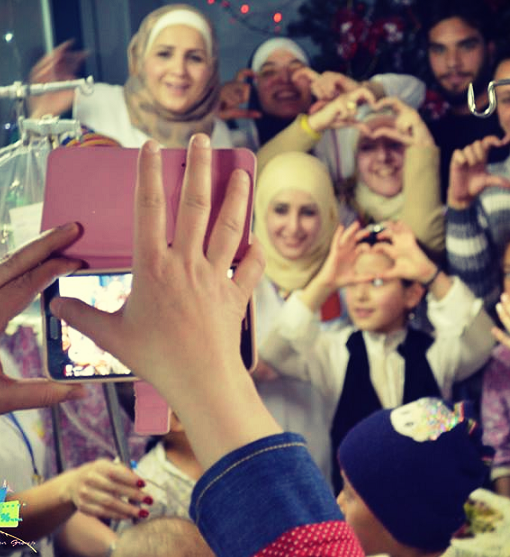 BASMA volunteers visit 5 times/week children with cancer unit in the Kids Hospital and Albeiruni Hospital in Damascus to provide them with moral support. These visits include a variety of pre-planned activities and entertainment programs for the children. In May 2009, BASMA opened the first specialized unit to diagnose and treat children with cancer with a capacity of 20 inpatient beds and 8 outpatients at Alberuni University Hospital under the patronage of the Ministry of high Education. An MOU was signed between the management of Alberuni Hospital and BASMA Association. 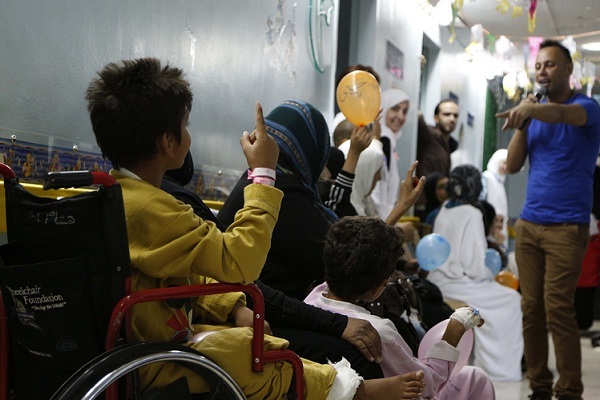 BASMA covers a percentage of the treatment cost of some of the cases of children with cancer treated in the private sector in Syria and in specialized centers outside or inside Syria. Since 2006 till end of 2015 BASMA sponsored 273 cases in addition to tumor resection, bone marrow transplant and Orthopedic prosthesis. BASMA strives to stay in touch with the children that are registered with the association while they are at home between hospital visits. Children are invited to participate in different activities that are organized both indoor and outdoor. Parents are also regularly contacted by phone to make sure that the child is doing well. For Families: BASMA holds regular sessions to raise awareness among inflicted families about childhood cancer and dealing with their impacted children during treatment, in order to provide them with the ideal care. For the community: BASMA organizes awareness sessions about childhood cancer and its early detection, and spreads knowledge of the disease through producing newsletters and booklets. 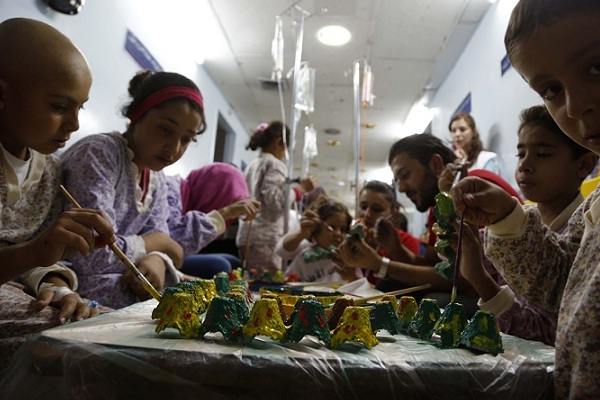 such visits include a variety of pre-planned activities and entertainment programs for the children in addition to the distribution of gifts, which is based on giving each child a gift commensurate with his age upon entering the hospital. 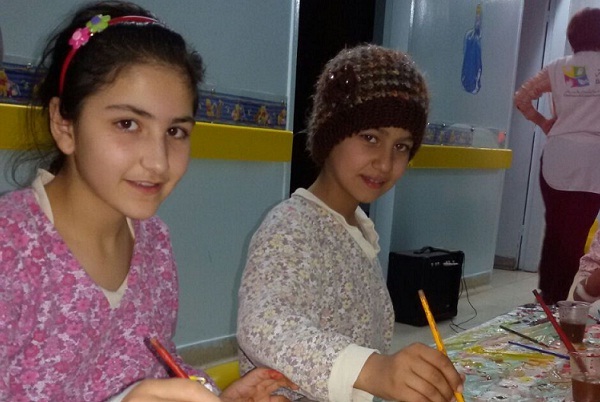 BASMA is a nation-wide volunteer –powered NGO that supports Children with Cancer and their families during treatment in Syria. BASMA was officially declared in 2006 and member of Childhood Cancer International since 2008. BASMA started with 12 volunteers, the founders and relies now on 45 volunteers 5 of them are the board of directors. BASMA is relying on its volunteers to achieve its mission and provide services to the children with cancer and their families. Co-founders, participated in the first steps of BASMA establishment, in 2005. She was head of financial support committee for 6 years which is the most important committee in BASMA work. She is the current elected Chairperson. Active member in public relations and funding committee since 2008 and was head of it for one year and he is the current elected Vice Chairperson. Active member since 2006 in Physiological support committee – supplying kids gifts. She is current elected Secretary General. Active member since 2010 in Public relations and funding committee and head of it since 2015. She is current elected Board member. You can save a life ! We need your help … Your help can save a life… How to help? 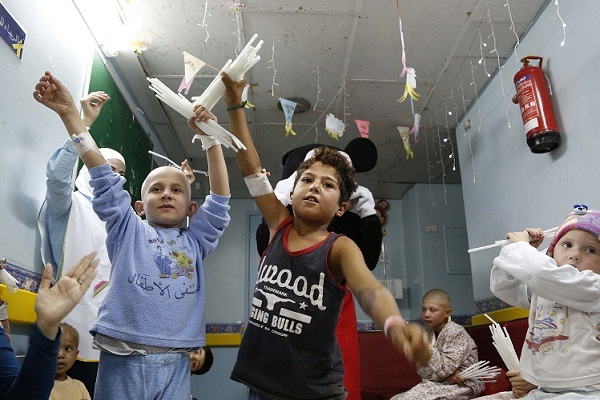 - Moral, psychological and educational support to children with cancer in Syria during treatment. - Financial support services to families of children with cancer. - Medical services and supplies otherwise not available as well as specialized medical staff in the children’s cancer units in Damascus. - Raise awareness among families of children with cancer and the community about the disease and mobilize the community to support this cause. - Build up cooperation with regional and international children’s cancer centers and any other related governmental and non-governmental parties locally, regionally and internationally. Number of children registered in Financial support program till end of 2015. 1 - fill out a volunteer form after reviewing the conditions set forth below and understand the objectives and functions of the Assembly and the nature of the work. 2 - Examination of applications submitted by the Board of Directors during a maximum period of two months of the date of application. and after taking into account the desire of the person listed in the application on the field, who prefers to work. 4 – The volunteers management Committee notify the new volunteers on programs that have been distributing to. 1. Be exceeded eighteen years of age. 2. That he/she believed the objectives of the Association and aspirations. 3. To be able to provide specific services to the Association..